Equitable Access to High-Cost Pharmaceuticals seeks to aid the development and implementation of equitable public health policies by pharmaco-economics professionals, health economists, and policymakers. With detailed country-by country analysis of policy and regulation, the Work compares and contrasts national healthcare systems to support researchers and practitioners identify optimal healthcare policy solutions. The Work incorporates chapters on global regulatory changes, health technology assessment guidelines, and competitive effectiveness research recommendations from international bodies such as the OECD or the EU. Novel policies such as horizon scanning, managed-entry agreement and post-launch monitoring are considered in detail. 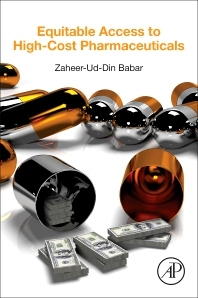 The Work also thoroughly reviews novel pharmaceuticals with particular research interest, including cancer drugs, orphan medicines, Hep C, and personalized medicines.